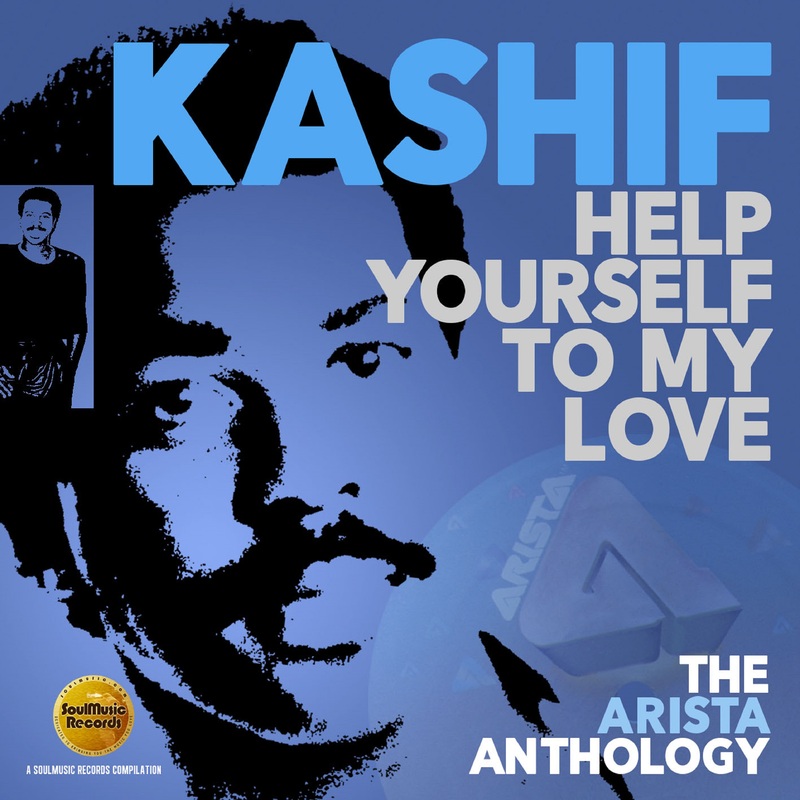 SoulMusic Records is very proud to present “Help Yourself To My Love: The Arista Anthology,” a fitting tribute to the superb artistry of the late, much-missed, multi-talented music man Kashif, who passed away at the age of 59 in 2016. SoulMusic Records is very proud to present “Help Yourself To My Love: The Arista Anthology,” a fitting tribute to the superb artistry of the late, much-missed, multi-talented music man Kashif, who passed away at the age of 59 in 2016. A first-of-its-kind collection, this 2-CD is drawn from the seven years (1983-1990) that Kashif recorded for Arista and includes the primary ‘A’ and ‘B’ sides of singles alongside key album cuts from the five albums he cut for the label. Born Michael Jones in Harlem with a name change to Kashif (Saleem) during his teen years, the gifted young musician joined the famed funk/soul band B.T. Express in 1976, recording and performing with the group followed by a stint on the road with soulstress Stephanie Mills during which time he emerged as a successful songwriter thanks to hits with Evelyn ‘Champagne’ King and Howard Johnson among others. Signed to Arista Records by renowned label chief Clive Davis, Kashif began his run of sixteen charted hits with the US Top 5 R&B single, ‘I Just Gotta Have You (Lover Turn Me On).’ Davis teamed Kashif with then-new signing Whitney Houston and he produced and co-wrote her first hit,’You Give Good Love.’ Kashif scored his biggest R&B hit in 1987, a scorching duet with Meli’sa Morgan, covering Mother’s Finest’s ‘Love Changes’ and continuing his chart success as a duettist with the legendary Dionne Warwick the same year via ‘Reservations For Two.’ Kenny G. and Doug E. Fresh contributed to cuts included here along with uncredited appearances by the late Al Jarreau and the late Whitney Houston on ‘Edgartown Groove’ and ‘Are You The Woman’ respectively. Stellar liner notes by renowned US writer/friend A. Scott Galloway with 2017 quotes from colleagues including Kenny G., B.J. Nelson, LaForrest Cope (“La La”), Leslie Ming, Kathy Sledge and Bashiri Johnson.